Shown in Diamond White and Light Pink�Full Iridescent Taffeta A-line. 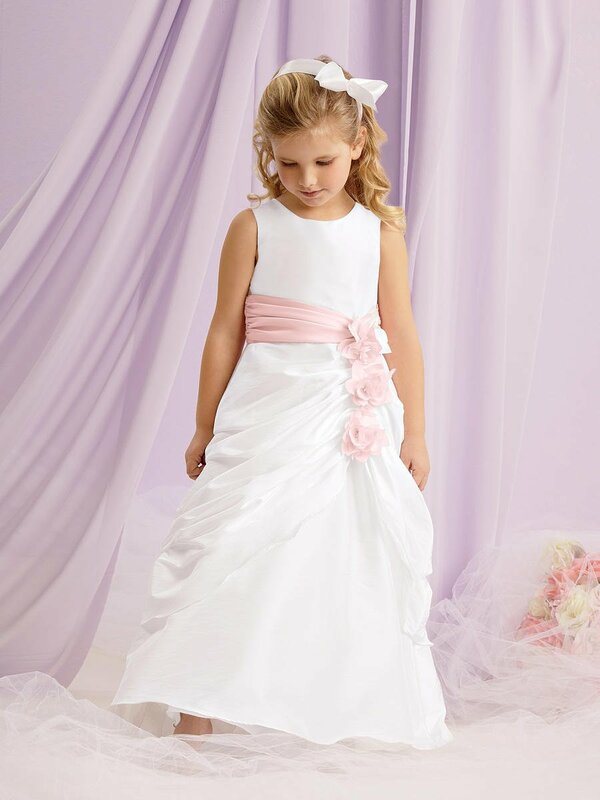 Draped overskirt accented with satin flowers. Sleeveless bodice with shirred satin waistband. Available in ankle and floor lengths.